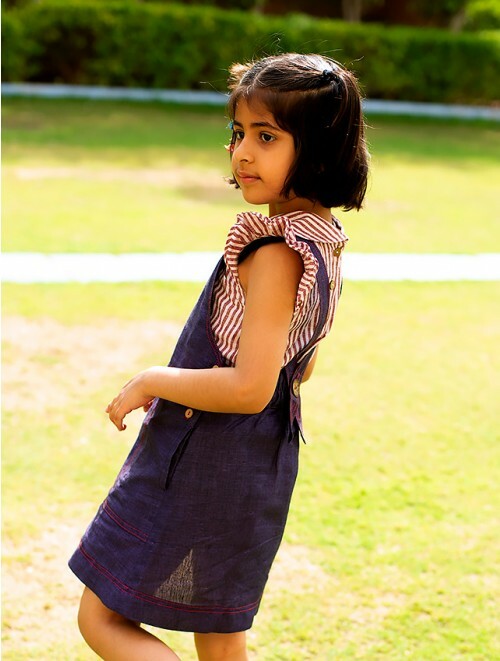 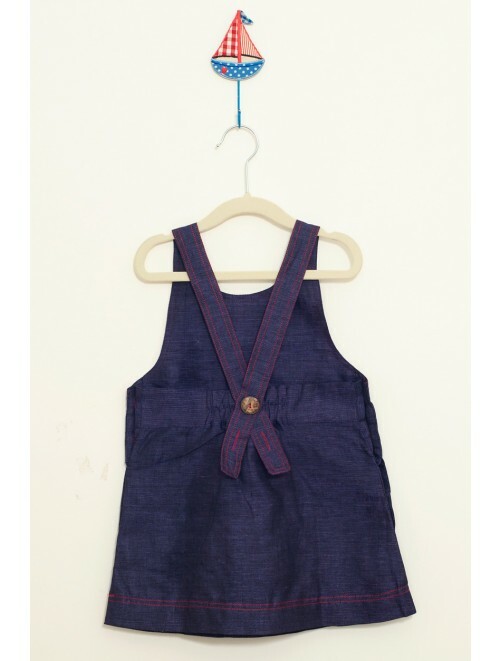 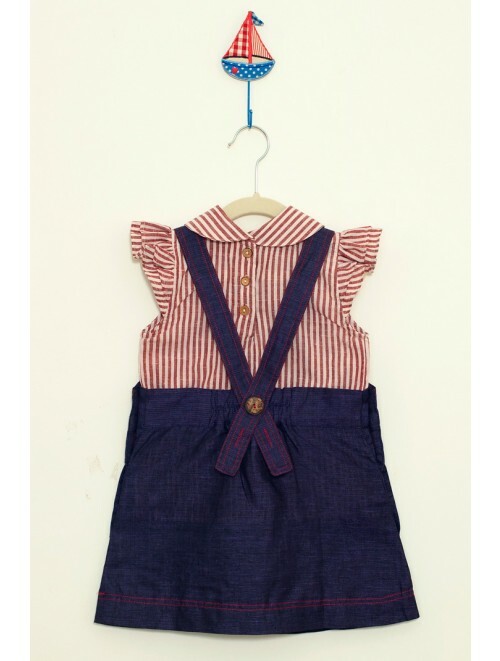 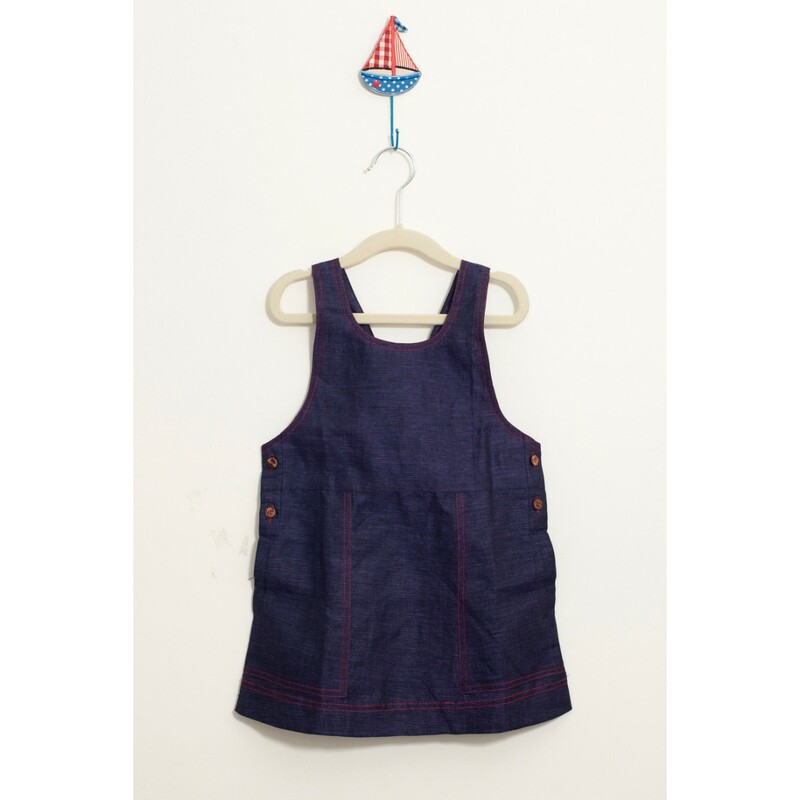 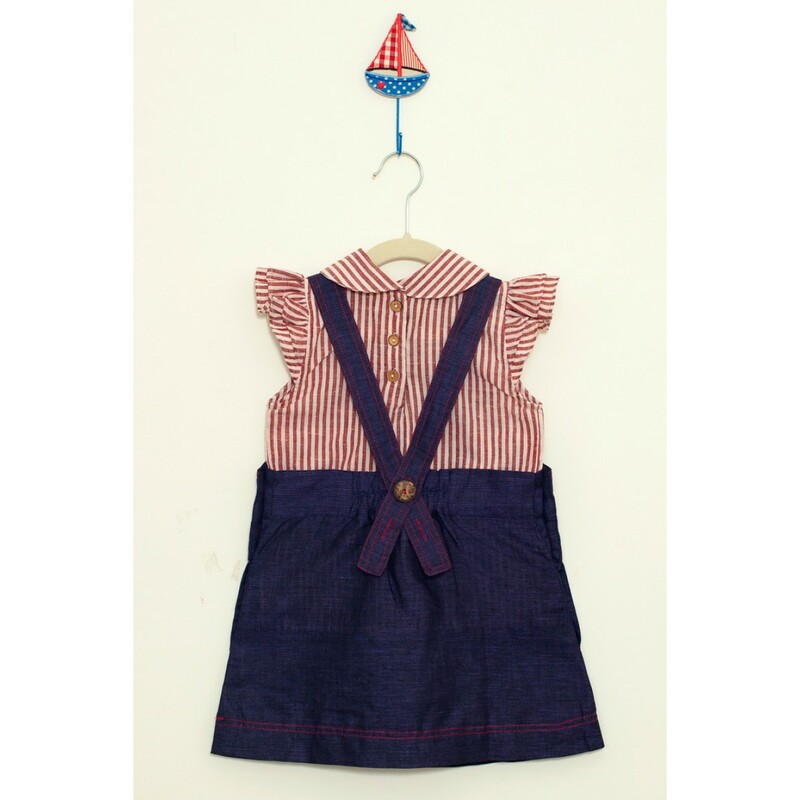 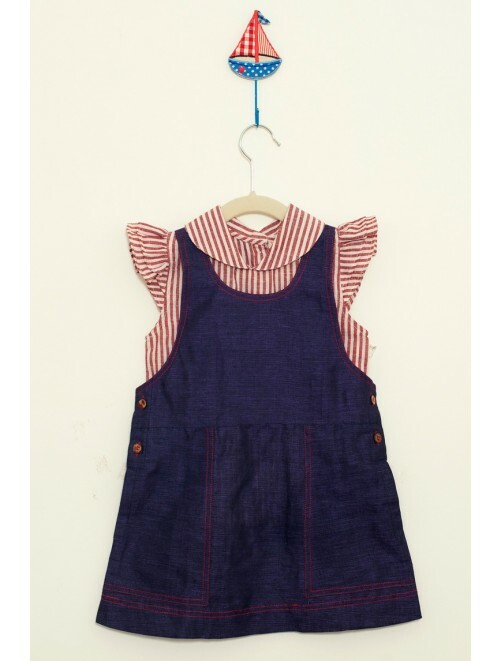 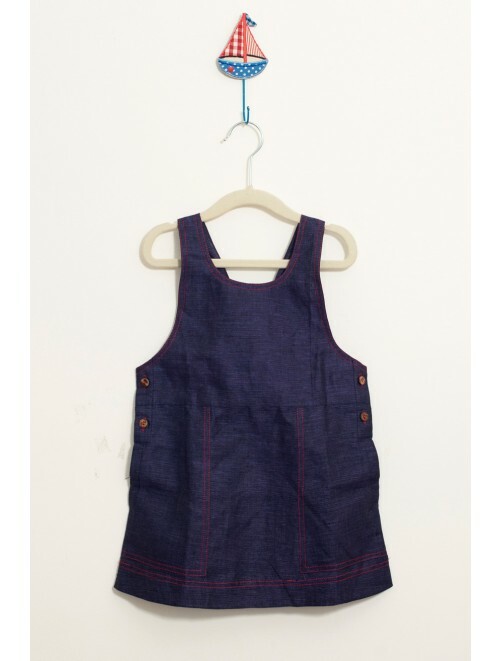 Every girl must have atleast one pinafore dress in her wardrobe. 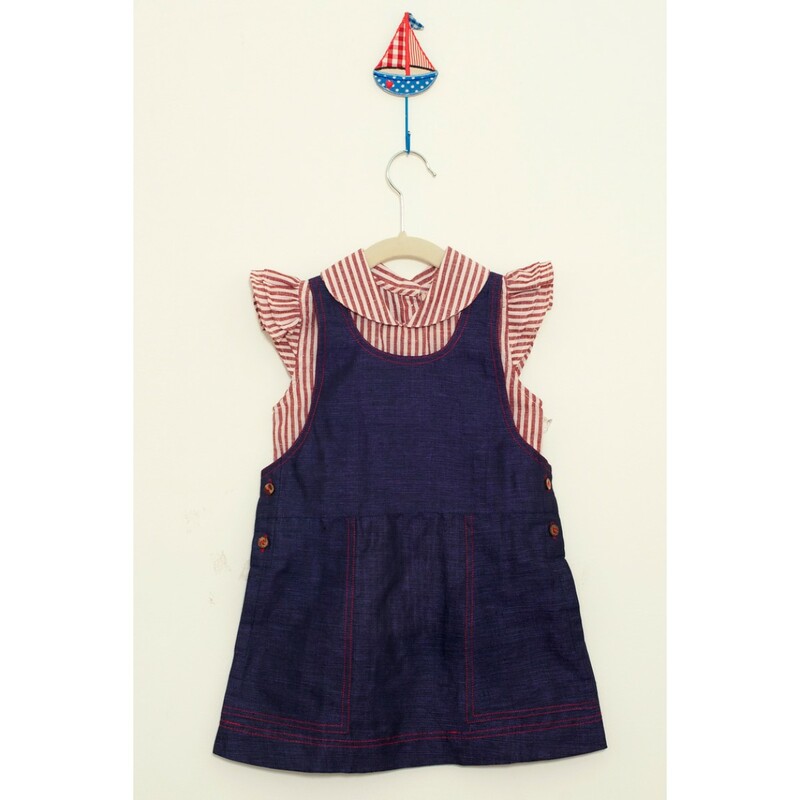 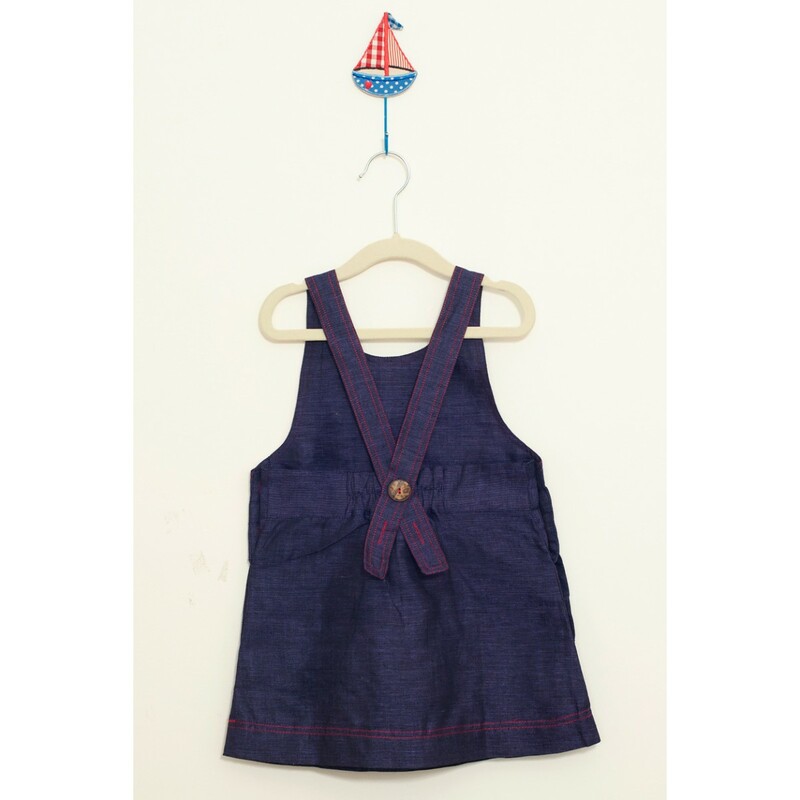 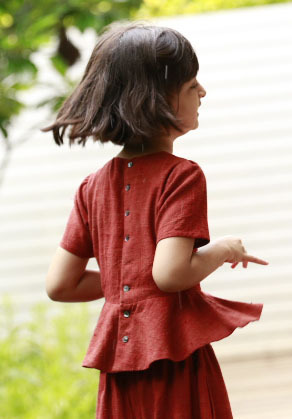 And this indigo cotton linen dress is just right. 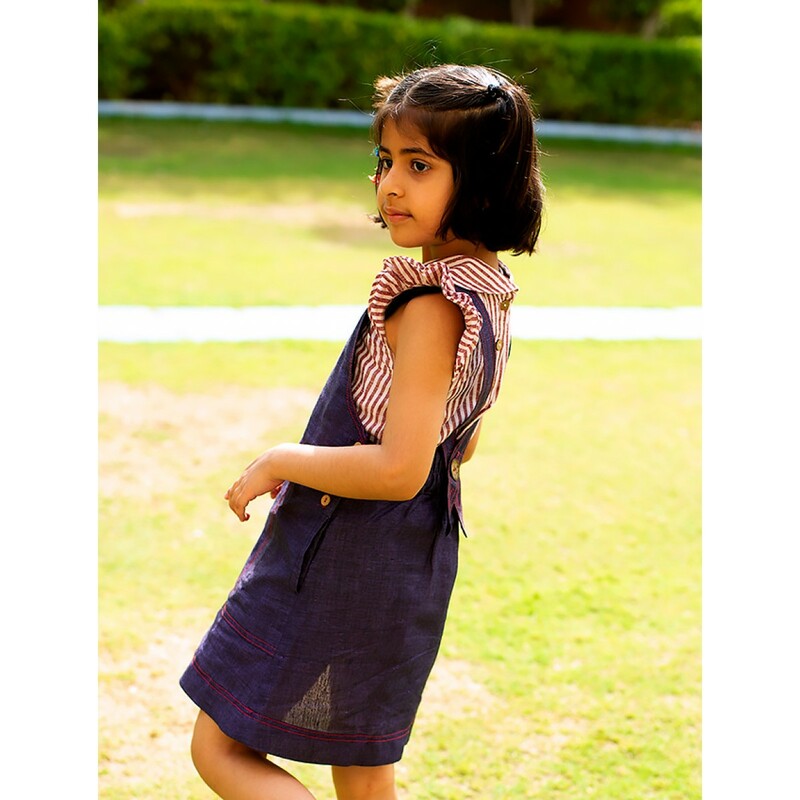 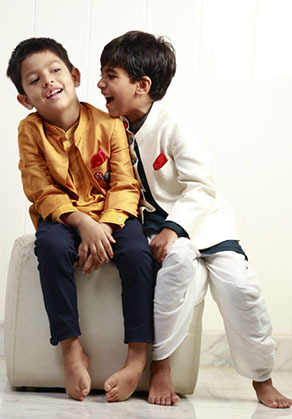 Wear it as it is during the oncoming summers or with our triped red top or simply with a tee of your own.